I contributed a quick win but this did not help the team much. I thought of the key move right away and took some time to work out the details. 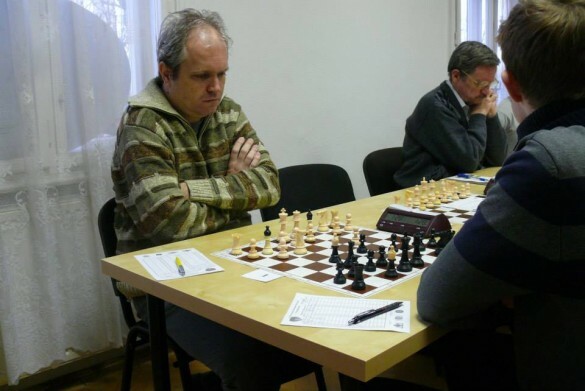 The Budapest Team Ch 2014/15 season started up again and many players including myself went into action straight from the grueling Perenyi Memorial which finished yesterday. I was one of them but suffered from fatigue that continued today. 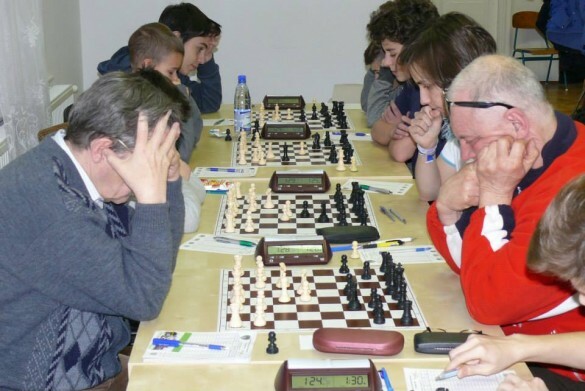 I contributed a lame draw with White against my young opponent after making a tactical oversight against a Benko Gambit and struggled for a worse position. My opponent’s draw offer from a much better position was quickly accepted. Tomorrow another game in the Monday league. There is so much chess in Budapest that I can barely take a breather. I wanted to control the quenside and prevent ..Nb6 followed by..c4 ideas which would undermine the a-pawn and came up with 16.b3? intending to follow with Nd2-c4 but my idea had a big hole in it which was immediately exploited as 16..Rxb5! followed quickly and I suffered. A Barcza GSC I. csapata Bíró Gergely idénybeli második kontumált vereségéért 2 büntetőpontot kapott. 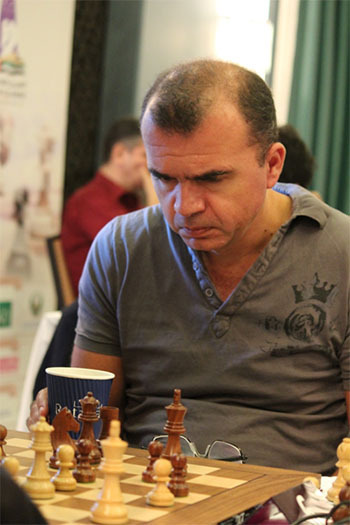 Reznak Attila won with 8/9. Well done! I collapsed at the end, losing my last three games to finish with a modest 3/9. Gubics, Peter took clear first with 5.5/6 in a modestly attended event. The winner Gubics,Peter(left) in concentration. One of many keen players. There are only 6 players with 2/2 as the top 2 seeds conceded draws. I played too passively against Varga,K and then dropped a pawn in a lost position. GM Jun Zhao was the convincing winner with 8/9. 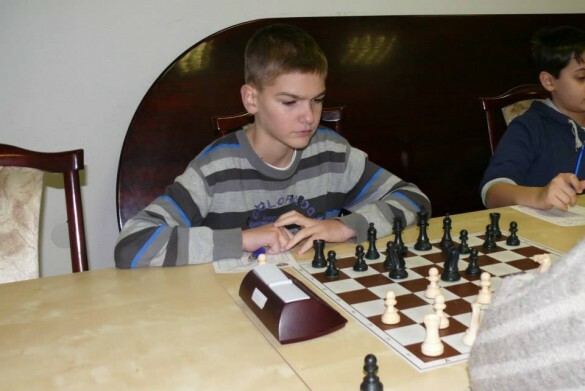 IM Gledura did very well with 6/9 and a 2580 performance.